Keeps pie shell from bubbling up. 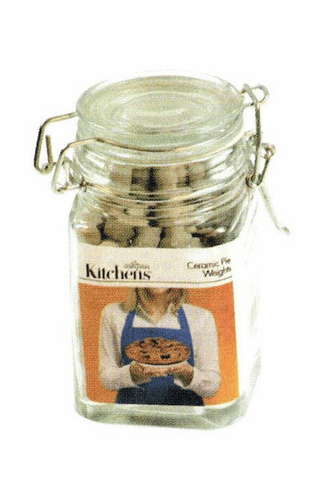 Comes in a classic mason jar. Weights 9.5 oz.